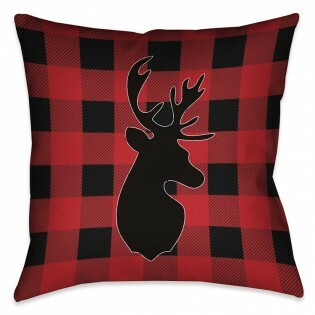 This classic red and black Buffalo Check Deer Pillow will transform any room into a rustic retreat! Pillow features a coordinating pattern on the reverse side. Design is digitally printed to create crisp, vibrant colors and images.